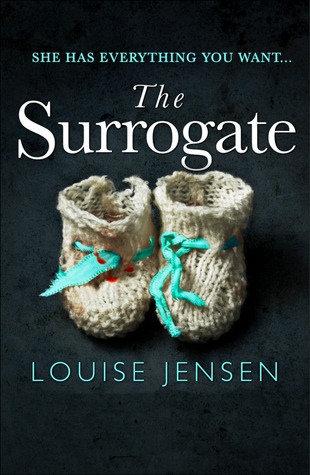 Posted on October 13, 2017 by Fabricating Fiction/Louise Jensen	• This entry was posted in Book reviews, Novel writing, Uncategorized and tagged book promotion, book review, book sale, books, crime fiction, infertility, louise jensen, murder mystery, novel writing, psychological thrillers, reading, surrogacy, writing. Bookmark the permalink. I love it that even you didn’t see the ending coming. What a way to open a story! The juxtaposition of the crime and the concerned neighbors against the self-involved reporter is brilliant! And I love it when the characters dictate the story. Me too Gifford. Every day was an adventure! Thanks for reading. I managed to get a hard copy of The Surrogate from Blackwell and have just finished reading. I’ll let you know my thoughts later!